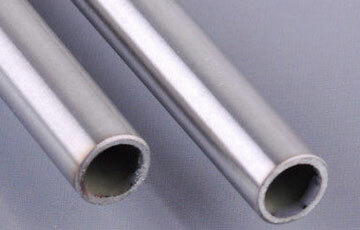 TRILOK STEEL INDUSTRIES is well known supplier and manufacturer of MIL-T-8506 Tube.MIL-T-8506 specification covers seamless and welded tubing of corrosion resistant steel in the annealed condition.MIL-T-8506 Tubing Intended for use in the fabrication of aircraft parts requiring a high degree of resistance to corrosion.SAE-AMS-T-8506 Tubing not to be used in high pressure hydraulic control systems. 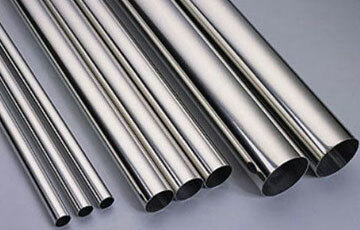 MIL-T-8506 304 Tubing, Steel, Corrosion Resistant, (304) Annealed, Seamless, Welded. TRILOK STEEL INDUSTRIES is an ISO 9001-2008 MIL-T-8506 Tube supplier , the most versatile and widely used stainless steels in aerospace industry.We stock and distribute a large and diverse inventory ofMIL-T-8506 TP304 Seamless Tube and MIL-T-8506 TP304 Welded Tube from industry-leading and widely accepted manufacturers who meet or exceed the stringent technical requirements.MIL-T-8506 Intended for use in the fabrication of aircraft parts requiring a high degree of resistance to corrosion. MIL-T-8506 Tubing not to be used in high pressure hydraulic control systems. 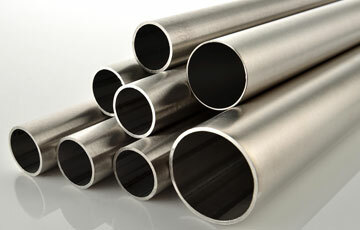 Suppliers of MIL-T-8506 Stainless Steel Seamless tube, MIL-T-8506 aircrfat hydraulic fine tubign Supplier in Mumbai, India. MIL-T-8506 Tubes are finished in accordance with customer needs regarding dimensional and wall thickness specifications as well as heat treatment for more demanding applications. In general MIL-T-8506 TP304 stainless steel seamless tube and MIL-T-8506 TP304 stainless steel welded tube manufactured according to current standards. MIL-T-8506 tubing shall be properly separated by size’(outside ~~~me~~~, and wall thickness. The ends of MIL-T-8506 tubing shall be sealed exclude dirt and dust. MIL-T-8506 Tubing Packaging for shipment. Material shal1 be packaged for shipment in accordance with the methods prescribed in MIL-STD-163. MIL-T-8506 Marking of shipments. Interior packages and exterior shfpping containers shal1 be marked in accordance with MIL-STO-129. The identification shall include the following information listed in the order shown: Stock No. or other identification number as specified in the purchase document TUBING, STEEL, CORROSION-RESISjANT [304), AEROSPACE VEHICLE HYDRAULIC SYSTEM, 1/8 HARD ‘CONDITION MIL-T-8506 Size (diameter), Wall thickness ,Heat No., Type,Class,Quantity contained,Name of manufacturer,Name of contractor (if different from manufacturer),Contract or Order No.